Do you see some sites/blogs looking a little strange? with boxes around images in a strange colour possibly grey? are you using internet explorer 6 or below? Now days people have turned to Firefox & similar web browsers that are alot more secure and have tons more features & personally i have never had a problem with it. I just finished a blog template for a friend, And run into problems it all looked fine on all my pcs on firefox and explorer . After Scratching my head LOTS I then relised that there was a problem with the software she is using, She is using Internet Exploer 6, I am using 7 on all my computers. So if you are also seeing strange things on your friends pages and your own. Now if you dont want to do this i would then suggest you upgrade your internet exploer to 7 or above. 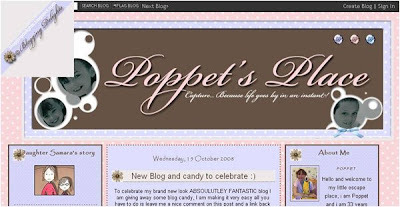 This entry was posted on 15.10.08 and is filed under Hints + Tips + Tutorials . You can follow any responses to this entry through the RSS 2.0 feed. You can leave a response, or trackback from your own site.